Were I asked to chisel out my personal Mount Rushmore of songwriters, the quartet would include Bobs Pollard and Mould, Will Johnson and in the George Washington spot, Mark Eitzel. Having spent the last 20-some years following Eitzel’s ups and downs, his songs with American Music Club and solo have soundtracked my life. From seeing him open for Mould with both playing solo-acoustic sets in Philadelphia to discovering Will Johnson as Eitzel’s opener, Mark has been omnipresent; you can’t leave a show without at least one story to tell. 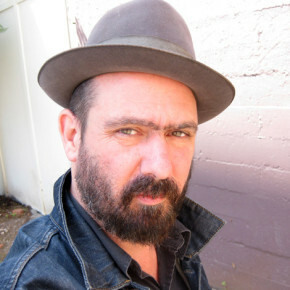 When on his game, there is nobody better than Eitzel. Lacking any provenance, this stairway take of “No Answer” courtesy of Videoteca Bodyspace finds Eitzel stripped bare, his voice and words bearing his trademark pathos. An artist deserving of national treasure status, let’s hope “No Answer” signals a follow up to 2012’s triumphant Don’t Be a Stranger. Watch the video for “No Answer” below and weep at the beauty of heartbreak that can only be conveyed by Mark Eitzel.